With over 50 years of combined experience in health and wellness, we are committed to enhancing our clients’ life management skills through evidence-based workshops, coaching and consulting. Life management includes: resiliency/stress, conflict resolution, workplace wellness, work/life balance, organization/time, weight/health, healthy communication. Mission: To help clients enhance their life management skills and move toward optimal success and well-being. Vision: Our vision is to assist our clients in being fully engaged in all areas of their life, creating a healthier, happier, and more empowered society. Mike is a licensed mental health therapist and certified life management coach with over 25 years of experience working with some of the most challenging populations. He facilitates workshops and webinars for large corporations, has a private practice, and worked on a crisis intervention team for a Fortune 100 company. Mike’s specialty is conflict resolution and resiliency in the workplace or at home. In his book, “Protecting Your Inner Peace”, Mike uses Aikido (the martial art of peace) as a metaphor for assertive verbal communication to successfully resolve conflict. Cindy is a licensed mental health therapist, a nationally certified personal trainer, and a certified health and wellness coach. She has over 25 years of experience working with clients in a variety of settings, including corporate settings, wellness clinics, and fitness centers. She was on an integrated personal health team at a Fortune 100 company, performing crisis intervention and health and wellness coaching and counseling. She facilitates workshops and webinars for large companies, and provides coaching for stress/resiliency, weight management, depression, tobacco cessation and lifestyle skills. Her book “Healthy Weight: It’s a Family Affair” offers easy and effective exercises and tips to overcome challenges like stress, work/life balance, sleep, and emotional eating. 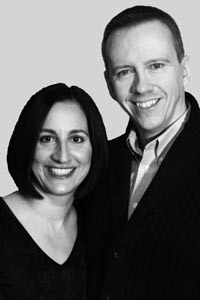 Mike and Cindy offer life management coaching (in person or over the phone), consulting, and workshops for individuals, groups or the workplace.